Ball newel caps and half newel caps for Classic White Oak post-to-post handrail systems for stair and landing balustrade. White oak newel caps from the Richard Burbidge Classic range of stair parts. 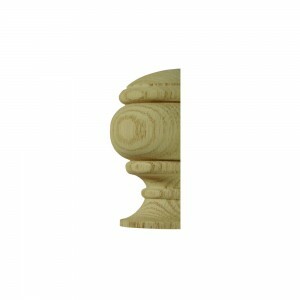 Designed to finish the newel posts in this range. We also have half newel caps so you can complete the look of your stairs perfectly. 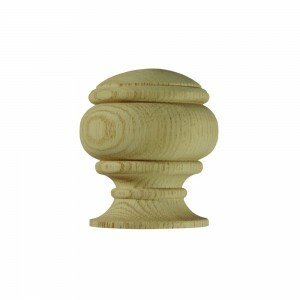 Newel caps are the decorative additions that are usually used to finish a newel post. Some newel posts have a shaped top that gives them a finished look, and a newel cap can even be added to these sometimes to enhance their appearance, other newel posts look unfinished and a cap is used to complete the look. Stair, landing and balcony balustrades and railings will have a more finished look when topped with a coordinating newel cap.